With the fantabulous success of the Unevolved Brands project, I thought it would be neat to take a look at various well known brand icons, opposed to brand identities. 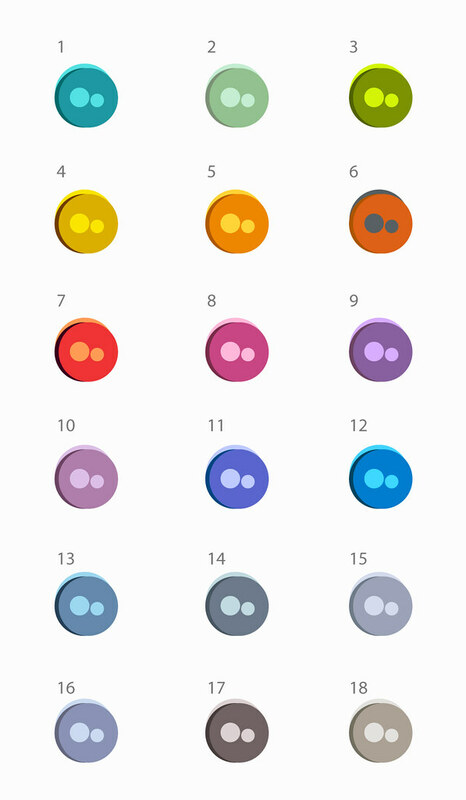 The same rule applies, Unevolving each icon down to a number of perfect circles representing both letters, words and logomarks etc. The idea isn’t to make it harder or easier to interpret each Unevolved design, rather just to really see how they end up. It’s not really a quiz, but a fun visual study. I could have ‘not’ titled these as Adobe CS icons, but I think it would have been close to me patrionising you. The result of the Unevolved process leaves the icons still very much resembling their true versions. If you feel so inclined to name each coloured icon to the CS application counterpart then feel free.